Risk Profile Assessment – Performed after IT changes the environment. A lot of IT projects means many IT Risk Profile Assessments. It definitely doesn’t take as long as the annual but should be considered when we making changes to the IT environment. Physical Security – We should probably implement those very reasonably priced Arlo surveillance cameras since there’s no door, www.ilobby.com touch screen for vendors or whoever else we want log for visitor management, and locking the back door. Backup and Calendar Training Reminders – The organization should screen shot their recurring brown bag HIPAA training sessions and send it to any email mailbox like info@acme.com for six years retention of logs. This is evidence of compliance. Secured Door – Many organizations do not have a door to secure the services area. Services need to be secured or we need research if we are allowed an exception through the security measures. Policy: Based on our Risk Analysis, we will create a written Facility Security Plan describing the steps to limit physical access to systems that access or store ePHI. This plan must be updated as necessary. Procedure: We will document physical security controls. Allow authorized access and deny unauthorized access to and within facilities, to limit access to devices that can access or store ePHI. Authorized users must be identified by name, title, or job role. Methods used to control physical access can include door locks, electronic access control systems, security officers, or video monitoring. Access to our facilities and systems will be controlled so only authorized individuals will be granted access. Workforce members will have access to facility based on their roles and functions. All non-patients and non-workforce individuals shall sign-in at the front desk (sign-in sheet shall document entry). 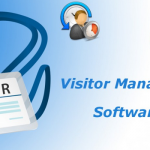 Visitor’s name, company and access time will be recorded in the sign-in sheet at the front desk. When sign-in sheet not used all visitors have to be accompanied by staff when entering practice beyond waiting area. All workforce staff shall sign in their respective timesheets when coming in or leaving the facility. Facility repairs and modifications shall be documented (scope, date and by whom). When security monitoring systems are used (e.g. CCTV), Security Officer will determine who has access to these systems and recording media, and frequency of media retention and reuse. We all agree that maintaining compliance is a tough uphill battle but implementation of these key points could save your business from a catastrophic situation, even bankruptcy.